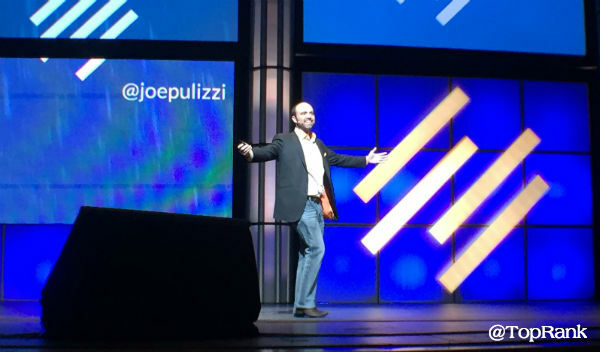 The post Online Marketing News: Search Shake-up, Mobile Reps Revenue, SERP Food appeared first on Online Marketing Blog – TopRank®. The 3,700 marketers surveyed as part of this report had a wide range of experience and goals for social media. However, the actual impact that social media had on their business can be broken down into 5 easy to understand benefits. With a whopping 91%, increased exposure was the top benefit that marketers participating in this report have seen from deploying social media marketing efforts. Many of the respondents stated that as little as 6 hours per week invested in social media created an increase in exposure. 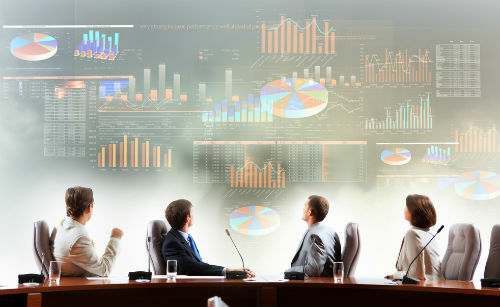 Social media marketing presents a unique opportunity for companies to stay top of mind with current customers and get on the radar of new customers on their preferred platforms. 70% of marketers found that social media activities increased traffic to their website while 75% of businesses engaging in social media activities for a year or more reported an even bigger increase in traffic. Encouraging social media users to leave a social media platform and visit your website is no easy undertaking. A solid mix of engaging content and well formulated ads with a compelling call to action can help encourage consumers to visit your web properties. Not surprisingly, B2C marketers (73%) were more likely to develop a loyal fan base than B2B marketers (63%). It is no mystery that most social media users engage on social platforms for personal needs first. B2B marketing often involves multiple decision makers at different stages in the purchasing journey. Fortunately, social platforms like LinkedIn and Facebook are beginning to make it easier for marketers to target audiences based on interests, job titles and demographics. 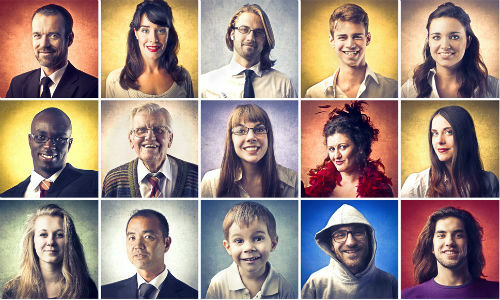 This opens the door for B2B marketers to segment individual messages based on need. 68% of marketers felt that social media provided market insight that they did not previously have or reaffirmed what they already knew. Social media enables you to see your consumers in their true habitat. It is easy to uncover who else they interact with, what their favorite movies or tv shows are, where they work, the list goes on and on. 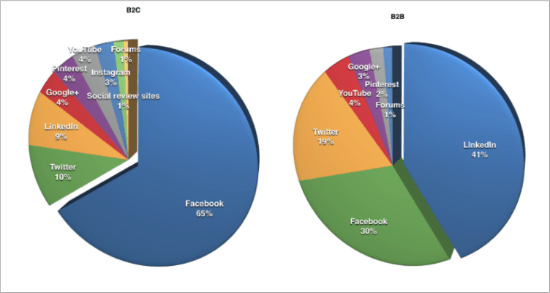 Over 50% of marketers who have been utilizing social media for over a year were generating leads through social media. Of all the benefits in the top five list, this one has the largest impact on the bottom line. In order to generate qualified leads through social media, your community has to trust you, be engaged and have a need for what it is that you offer. What other benefits made the top ten list? B2C and B2B marketers may be using the same social media platforms, but their efforts differ between platforms and which they consider to be the most important. 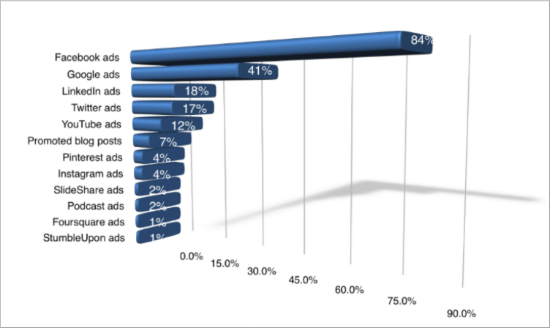 The vast majority of marketers surveyed (84%) said that they use Facebook Ads , with Google ads in at a cool 41% and LinkedIn ads at 14%. Looking for More Social Media Insights? 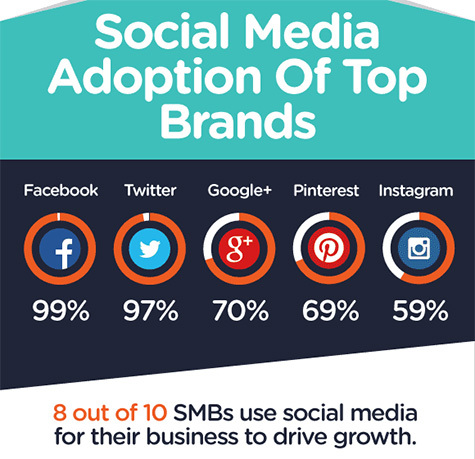 To learn more about how your marketing peers are performing on the top social platforms and what is on the horizon for 2015, download the full report from Social Media Examiner. A primary takeaway from this report is that many marketers are finally beginning to justify time and resources invested on social media marketing because they’re finally able to quantify a return based on objectives. What results from this survey surprised you the most? 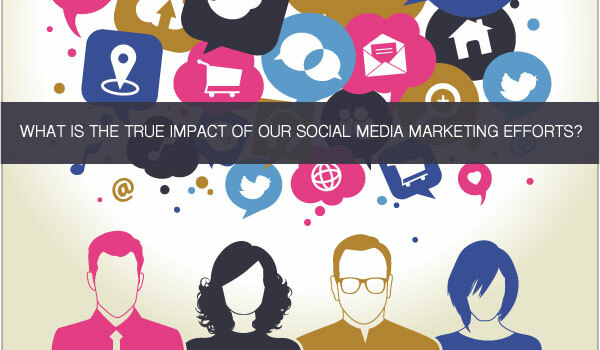 The post New Report Reveals the True Impact of Social Media Marketing for Business appeared first on Online Marketing Blog – TopRank®. What kind of benefits? The investment in co-creation of content between brands and influencers enables quality content at scale. With brands and influencers working together, co-created content can reinforce mutual authority for all involved. In such a cooperative scenario, influencers can gain exposure, brands can reach new audiences, and customers are “info-tained” and inspired to engage. Everybody wins. At TopRank Online Marketing, we’ve worked with over 200 influencers in the past 5 years to create numerous content assets ranging from our famous conference eBooks to videos to blog posts to infographics. These assets have driven over 800,000 views and well over 1,000 leads. Content co-created with influencers also continues to serve attract and engage objectives as long as they are live online. Establishing a successful influencer content program requires a framework for identifying, engaging, and managing relationships. Here’s a 5 step approach to do just that. In order for co-created content to be successful for marketing, specific audiences and goals should be identified. Think about: What do you hope to achieve with an influencer content program? How will influencers benefit? More importantly, how will your customers benefit? Think about the distinct audience that you’re after with the content being co-created and set goals specific to what your idea of success looks like. Quantify those goals as well, whether it’s to increase the reach and engagement of your brand to the influencer’s community or to inspire more leads and sales by a certain percent. Also, set goals for the influencers. For short term projects, focus on participation quality. 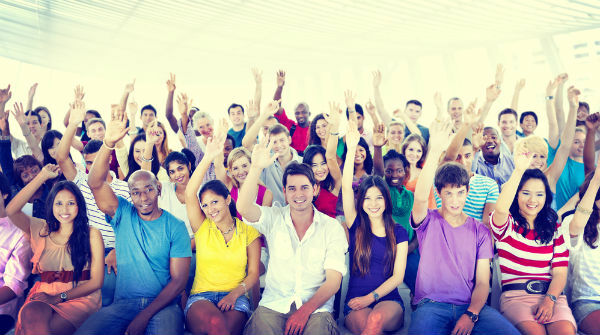 With longer term programs, focus on participation, marketing outcomes and the relationship. Themes facilitate planning content and also serve to focus the sourcing of the right influencers. Themes that are meaningful to all parties involved: brand, influencer and target audience will be far more successful. In addition to branding goals, themes in co-created content programs are often driven by key customer questions that can be answered by brand marketing. Looking at distinct customer segments and the buying experience at each stage should reveal the themes and triggers that your content program will focus on. What is the solution? How will it work for me? What do I do next? Consider what questions your customers are asking at awareness, consideration and purchase stages. Then think about the themes that will drive asking and answering those questions through influencer content. Beyond the famous “brandividual” influencers in your industry, consider niche experts that have an active and passionate following. Also consider subject matter experts within your own company. To start, talk to executives, marketing, PR and sales to identify a seed list of influencers. Then use an influencer discovery tool like Traackr or BuzzSumo to filter them out and add new influencers your team didn’t know about. Results are better when influencers matches are found on more than one tool. When reaching out to influencers, be sure to accentuate the positive and the mutual value. Focus first on what’s in it for the influencer. If possible, find out what their goals are and see how working together can move them towards reaching those goals whether it’s overall exposure and being associated publicly with your brand or early and unique access to information. Influencer participation pitches should be credible, succinct and offer a clear description of what is being asked. Influencer participation pitches should be credible, succinct and offer a clear description of what is being asked. Pitches should also be very easy to act on. In other words, make it really easy to participate. For example, writing takes time, so offer to do a phone interview instead. Other tactics that work include: humor, high degree of personalization, incentives and association with other influencers already on board. Influencer content co-creation might best begin with small, easy projects that advance the relationship to more robust and substantial time commitments. Any content type you can create in a content marketing program can be co-created with influencers. After content is collected from influencers, assemble, edit and package in a promotable format. Then share a preview to inspire their continued participation to promote. Be sure to set expectations by sharing your timeline for production, publishing and promotion. Any content type you can create in a content marketing program can be co-created with influencers, from eBooks to videos to articles to social microcontent. Provide influencers with tools such as sharing images, pre-written tweets, embed codes and short URLs. Making it easy to participate and promote can substantially increase the success of your influencer content program. Offer influencers feedback on what’s working and what is not. Since they’ve invested in the creation of the content, it’s in their interest to see the promotion succeed. By partnering with influencers, marketers can tap into a wealth of knowledge and a breadth of exposure for brand messages. These are not self-promotional messages though, they are the things that the brands’ customers care about. The mutual investment in creating useful and engaging content can pay dividends for all involved. This is especially true for the resource-strapped marketer looking to scale content quantity, while not sacrificing quality. The icing on the cake are the relationships built that can fuel content collaboration, partnerships and even new business in the future. A version of this post originally appeared at Brand Quarterly. 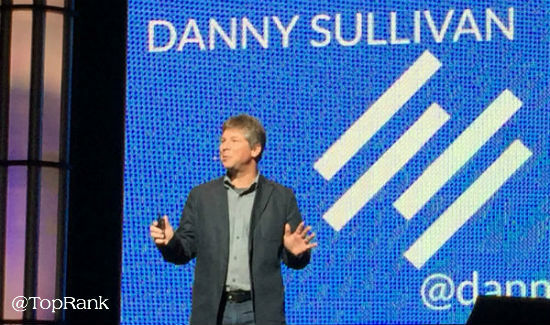 Watch for our latest influencer content project featuring speakers from the 2015 Content Marketing World conference publishing throughout the month of June. 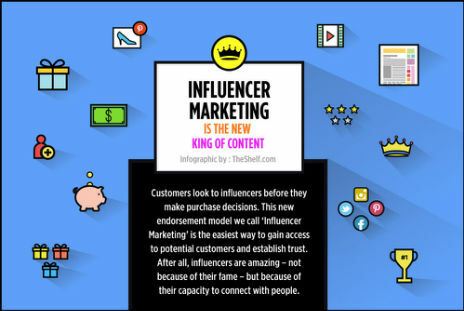 The post If You Want Your Content Marketing to be Great, Ask Influencers to Participate appeared first on Online Marketing Blog – TopRank®. The post Why Digital Marketing Podcasts Belong in Your Learning Routine appeared first on Online Marketing Blog – TopRank®. 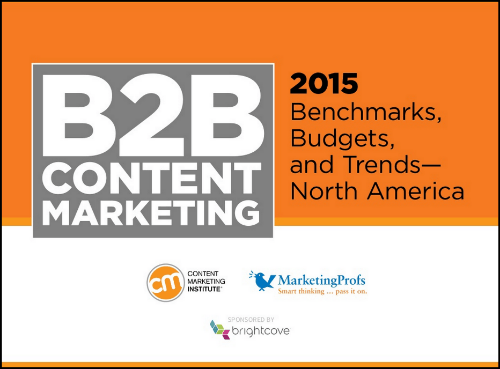 The post B2B Marketing Roundup: Resources, Trends and Case Studies to Prep for #BMA15 appeared first on Online Marketing Blog – TopRank®. Then in response to Dr. Evil’s Guide to Landing Page Design and Optimization, Monica Michaela said, “Hi! I totally agree that “confusion is the enemy of action”. Being very clear helps you build trust between your company and your potential customer. The post Online Marketing News: Facebook Feed Buzzes Businesses, Promoted Pins Get Powerful, Twitter Shows Search appeared first on Online Marketing Blog – TopRank®. Regardless of whether that you are experiencing the situation connected with cleaning out in which jumbled area in your residence or maybe business oriented area. Taking away unsightly trash, rubbish as well as excess things in your own home can become a new annoying activity. We all will conserve through the headaches involving doing away with crap, but additionally the actual feasible self-injury or perhaps destruction of this office or house via seeking to take out these undesired objects your self. Using the services of us is easy. We are able to fit our program to be able to your own house, although remaining delicate to your wants and funds demands. With your bigger vehicles in addition to trained personnel, doing away with those people unwanted goods is usually a piece of cake. For most B2B marketers, staying on top of the B2B content marketing game takes practice, practice and more practice to be successful. Drilling those basic skills can mean the difference between winning and losing the business customer acquisition game. Here’s the good news: We’ve put this B2B Content Marketing Playbook together to provide you with all the content marketing formations you’ll need to play the B2B content game right and maybe even win a content marketing championship! Writing killer content for business buyers takes practice. Part of that practice involves understanding the language of the industry that you’re writing for. It is important to strike a balance between incorporating the proper industry terms while not overstuffing your content or using jargon in the wrong context. 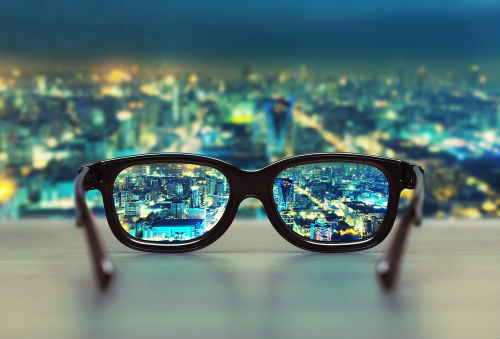 Search for and absorb information from reputable content sources online – where do your customers discover and consume industry and solutions information? What publications, influencers and peers do they listen to and read? Believe it or not, sometimes you’ll need to bring in reinforcements. Determining whether you need to hire experienced industry copywriters for the short or long-term, depends on the project. No matter how long contract copywriters or content marketing agency resources are a part of your marketing team’s efforts, learn as much as you can in the time that you’re working with them. Be wary of writers that claim to have industry expertise but don’t provide examples of their work. How long have they been creating content for the specific industry? Have they written content for a reputable content source or company? What is their process for understanding content goals, customer voice and actual content creation? To deliver the most relevant and useful information to B2B buyers, its important to identify distinct customer segments and the stages of their buying experience. To write specifically for a group of buyers and what they care about, it’s useful to create a persona that represents their common interests, behaviors, pain points and goals. For each persona and buying experience or journey, customers will have different types of questions depending on where they are in the process. The B2B content you create should address the needs of a specific customer persona as well as the broad to specific questions they need answered when investigating the kinds of solutions your company offers. Director of Marketing: Is interested in seeing if there is a better way to create, distribute and track content. VP of Marketing: Needs to determine if Marketing Automation will be a sound investment for the organization. The examples above only scratch the surface in terms of potential personas, stages in the buying cycle and types of content that can be used to meet the needs of your customers. It’s likely that the professionals searching for B2B solutions have responsibilities outside of purchasing the product that you’re promoting via content marketing (aka, they’re busy). Keep that in mind when you’re determining how to structure content. 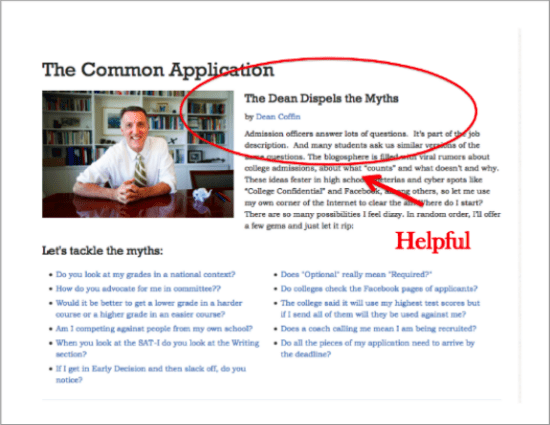 Blog posts for example, should quickly summarize key points so that the reader can decide if they would like to continue reading. This sets the stage for what they’ll find in the blog post. B2B customers desire content that meets both their personal and business needs. How can you strike that delicate balance? 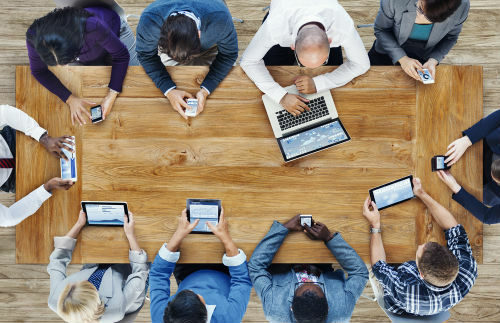 Also consider the “human” side of B2B marketing through social media, mobile and visually-focused content. After all, buyers are people too. Don’t Be Shy: Your CTAs should stand out as a clear next step. Instead of burying your CTA at the bottom of the page, consider using your content header or sidebar. Keep it Simple: While you may want to know everything about the person completing your CTA, you have to remove the barrier to entry. Ask for only the necessary information you need to accomplish your goal. Offer Value, Again: Remind the prospect what they’re signing up for. Be sure to reiterate that they are signing up for XYZ webinar, which will help them accomplish ABC. There may be different levels of decision makers and different stages of the buying cycle. 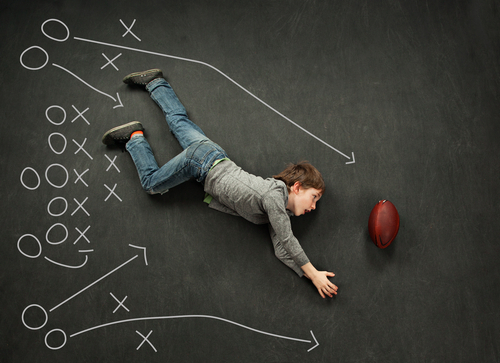 Jumping head-first into a game of B2B content marketing without mastering the blocking and tackling basics can quickly have you experiencing more losses than wins. In order to create successful B2B content, understand who your customers are, what they care about and how the product that you’re marketing helps solve their business problem. Speak to your target buyer using their language, using the kinds of content they prefer and with offers that will be the most compelling for them to take action. In football, it’s often said that the best defense is a good offense. 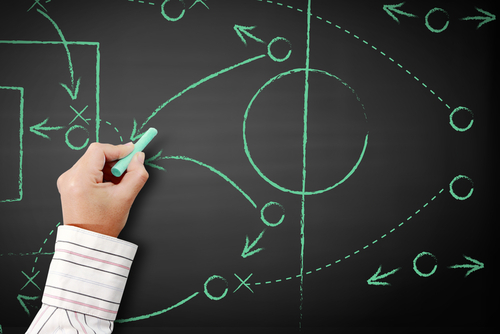 Stay on top of your B2B content marketing game by incorporating the basic rules from this B2B Content Marketing Playbook into your content routine. 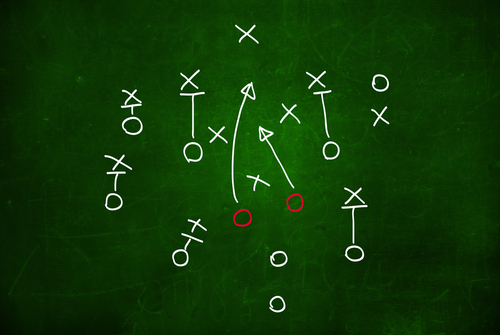 The post B2B Content Marketing Playbook: Tips to Prepare You for the Big Content Game appeared first on Online Marketing Blog – TopRank®. Today’s buyers are extremely savvy. They have access to information and tools, that previously were only available to the sellers. Marketers have an enormous opportunity to begin serving these customers in a more meaningful way. Content marketing has exploded in popularity and for very good reason. Done right, it gets huge business results at a fraction of the cost of more conventional marketing tactics. 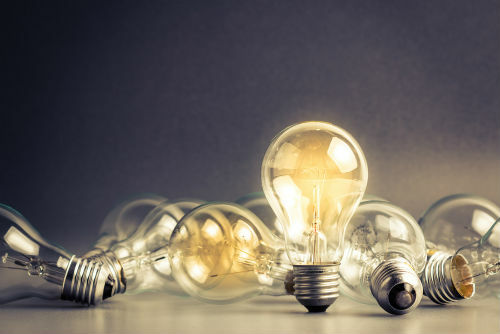 Several trail-blazing businesses and thought leaders have been instrumental in driving the adoption of content marketing by not only proving the model, but in many cases defining it. Clever titles may work great for BuzzFeed and Reddit content, but they can be confusing in the context of landing pages. The goal of any landing page isn’t to get a laugh, it’s to motivate action and confusion is the enemy of action. Learn how to turn your landing page CRO up to 11 in Dr. Evil’s Guide to Landing Page Design and Optimization. As powerful and revolutionary as search engines are, the past year has seen some truly game-changing upgrades at Google. From the Hummingbird algorithm update which moved Google ranking factors far beyond just keywords and links, to the Mobile Friendly update which is helping to usher in a new era of mobile friendly websites, search marketers have had plenty to keep them busy. Craving More Authority Rainmaker Insights? 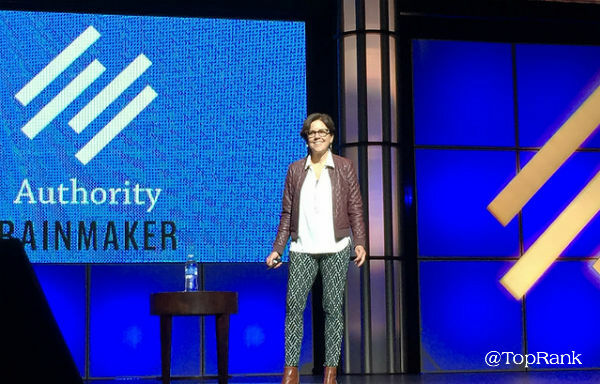 This eBook features additional insights and tweetable tips from the marketing experts that appeared at Authority Rainmaker 2015. Thank you to Brian Clark, Jessica Commins and the Copyblogger team for putting on a such a great event! I know most of the attendees would agree, this is a digital marketing event worth repeating and we’re looking forward to what’s in store for next year. Whether you attended Authority in-person or vicariously through social shares and posts like this, what were your favorite takeaways from Authority Rainmaker? 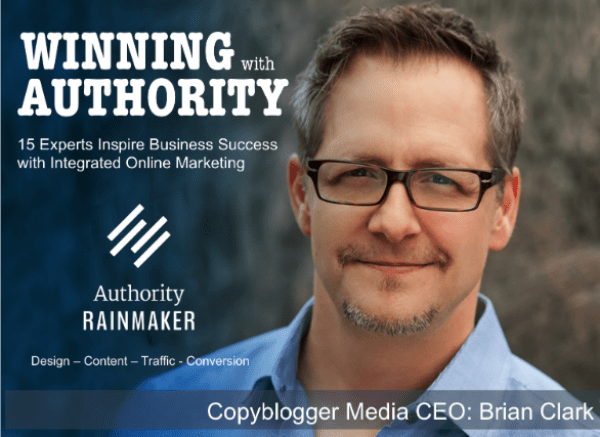 The post Top Digital Marketing Takeaways From Authority Rainmaker appeared first on Online Marketing Blog – TopRank®. You aren’t just competing with your competitors anymore, but you’re competing with yourself and everyone else for mind share. Sometimes it may feel like you need more content in order to get attention. 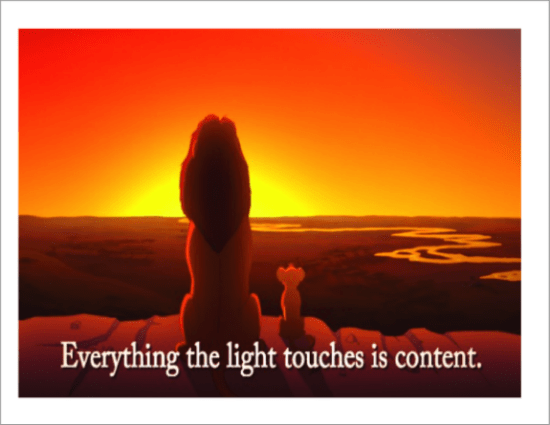 The answer IS NOT more content…it’s ridiculously better content. 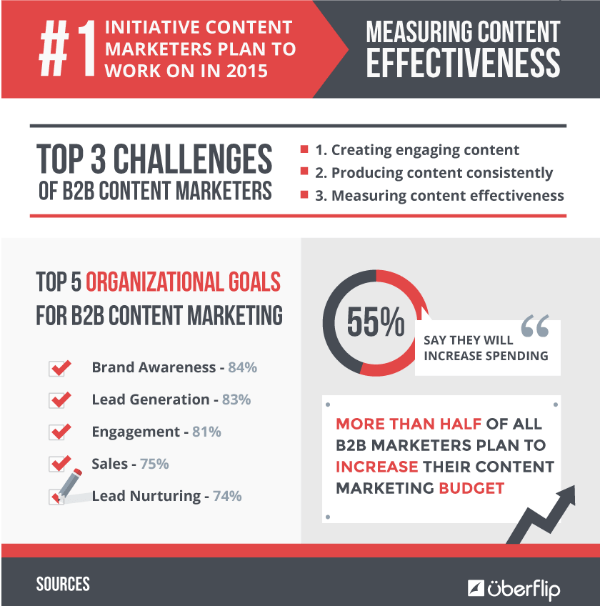 Producing engaging content is the biggest challenge for content marketers. Producing engaging content means becoming a better storytelling and a better writer. According to Ann, writing is the guts of content marketing. And good writing isn’t just about grammar. It’s about knowing what your audience needs and wants and telling that story in a really interesting way. This is where your brand voice comes into play. Ann gave us five steps to create and use a brand voice. Step 1: You Do You (it’s not what you sell, it’s who you are). Why do you do what you do? This means what value do you offer that no one else does. What are you like to deal with? This means what story are you telling more broadly when people come to your site. 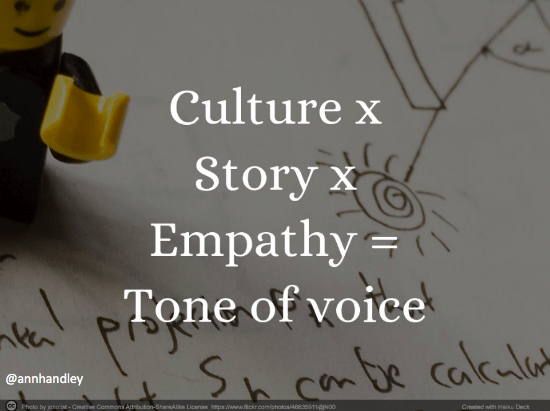 Brand voice reflects your culture, amplifies your story and communicates empathy to people you want to reach. Ann used the example of CrowdRise. The CrowdRise home page reads: “Raise money for a awesome causes and have the most fun while you do it”. The tagline says “if you don’t give back no one will like you”. Definitely a distinctive voice: irreverent, fun and inspiring. According to Gary Wohlfeill, Director of Marketing at CrowdRise, this is more than just copywriting. This is a calculated move to talk about who CrowdRise is and use it as a differentiator. The copywriter isn’t just brought in at the end. They are there every step of the way. Once you know who you are broadly, then distill it down, so it’s easy to communicate and embody. Ok – keep that handy. Now that you know who you are, re-frame the three adjectives from your Madlib and put your customer into the story. Your website should be built around who you are and what that means to your customer. Another example Ann provided was that of Tufts University. Their three adjectives are reassuring, helpful and humorous. So now let’s spin those adjectives to include their target audience, prospective parents and students applying for college. Re-framing the adjectives transforms content about “you” into content that offers a unique value for your audience. Writing in a distinctive brand voice is about taking some risks. Content marketing is a magnet that is meant to attract like minded people, and repel those who are not. If you dilute your brand voice so you don’t offend anyone, it will be that much less powerful. 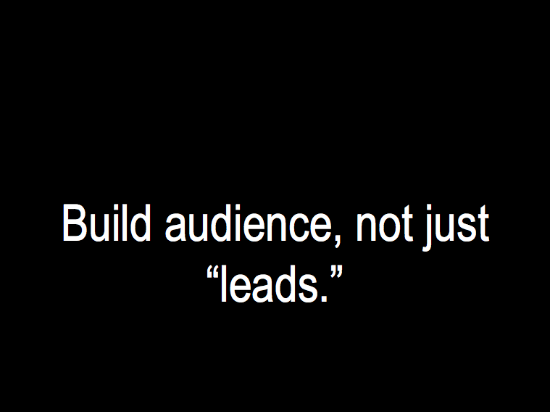 Remember, this is about building an audience, not just getting eyeballs. Brand voice touches beyond those things you typically think of as content, it’s everything you put out there. Find interesting ways to say boring stuff on your ‘about us’, landing pages, microcopy, and subscribe buttons. Matching every word on your site to your brand voice (re-framed for your audience) shows empathy, a powerful motivator for consumers. Quantity and quality don’t have to be enemies. By getting back to basics, who you are, your brand can create a strong voice which attracts the right audience with quantity and quality. 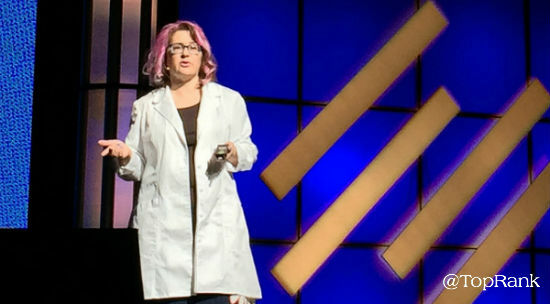 The post Good Content Vs. Good Enough Content: A Fight for Sore Eyes with Ann Handley appeared first on Online Marketing Blog – TopRank®.